…is a finalist for Missouri’s Show Me Award for 2019-2020! …represented the state of Missouri at the National Book Festival in Washington D.C. on September 2, 2017! 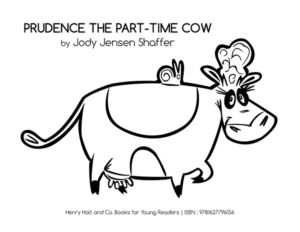 Prudence looks like a full-time cow—she wanders through pastures, she swats flies, and she lines up for supper. 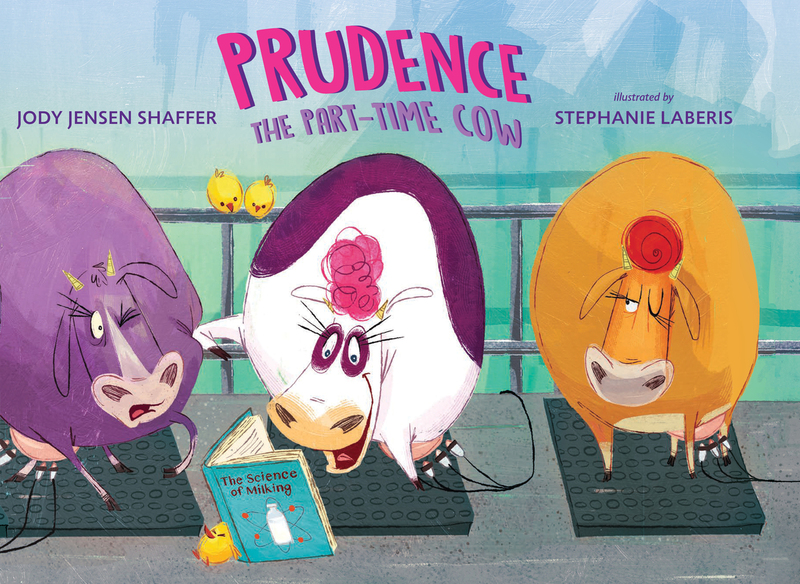 But Prudence is a part-time cow—she is also a scientist, an architect, and an inventor, studying and building and dreaming and creating. To the other cows in the herd, Prudence is a bit too part-time. She’s just too different to be part of the herd. At first Prudence tries to fit in, suppressing all her scientific smarts and imaginative inventing. But in a moment of inspiration—Cow Power!—Prudence realizes how to show the others that she can be a part-time cow and a full-time member of the herd. Funny and sweet, this is a story for anyone who’s ever felt a bit different.